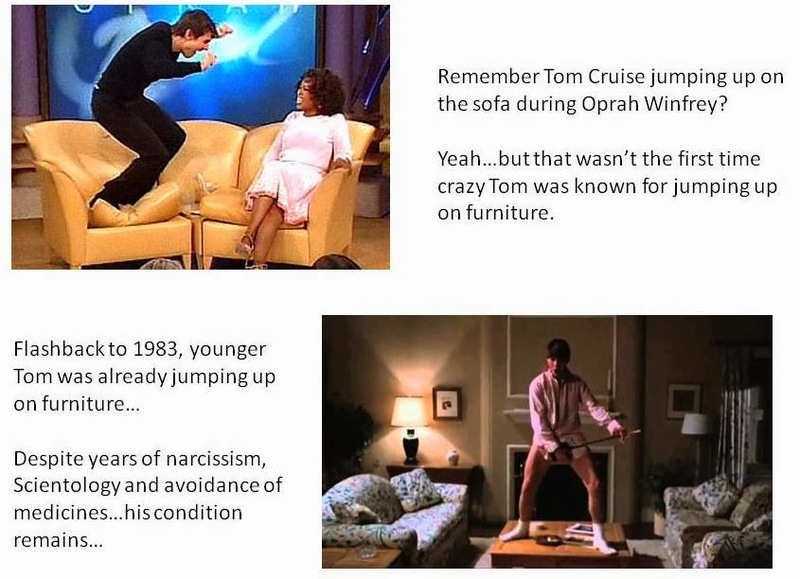 If you or a loved one has "Tom Cruise Jumping Syndrome", seek media whoring help immediately. The most effective treatment known today is to continually star in action films without plot. This seems to contain the disease to only occasional episodes which can be explained away with the help of made up religions. Oh no. I think I see the symptoms in a friend of mine. I'm sending you $1000. The check is in the mail.